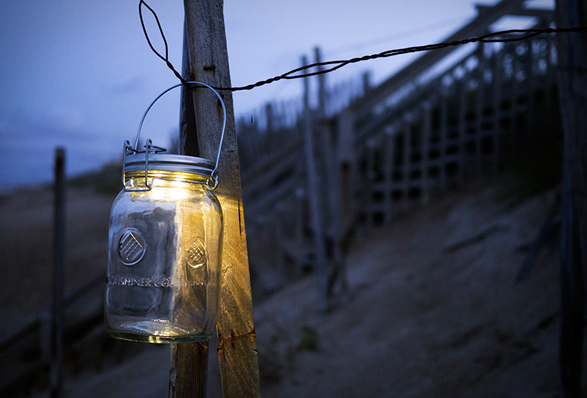 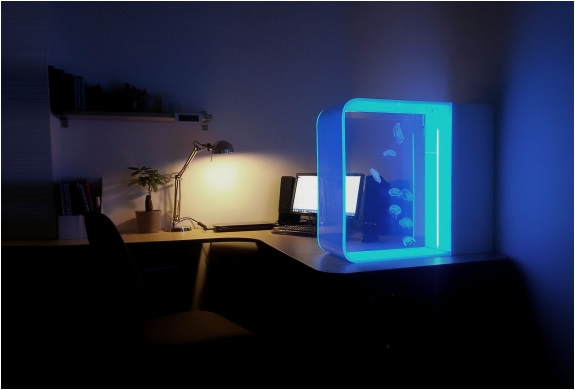 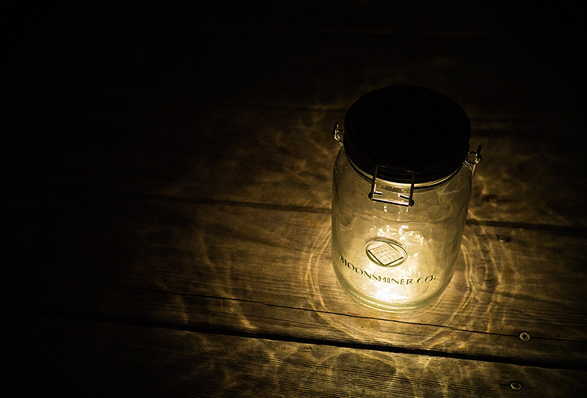 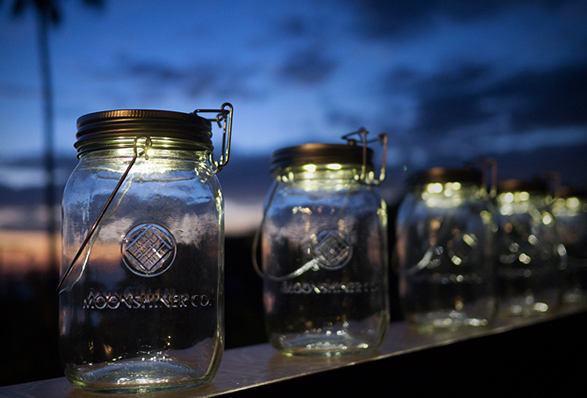 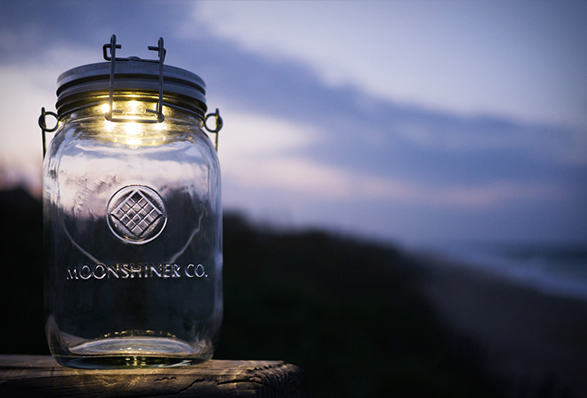 California-based Moonshiner Co. have given the classic mason jar a creative and useful twist, they have equipped it with a solar panel lid and low-profile LED lights inside, creating a lamp that provides up to 12 hours of warm, glowing light from one full charge. 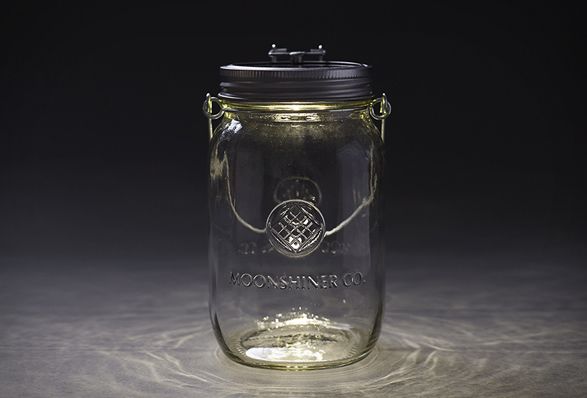 The 32 oz. 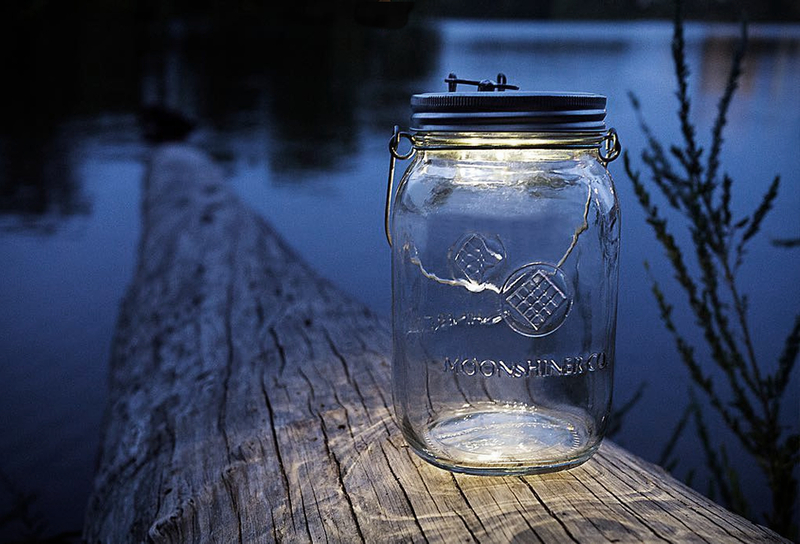 Solar Mason Jar also features a magnetic clasp on the lid for turning it on & off.